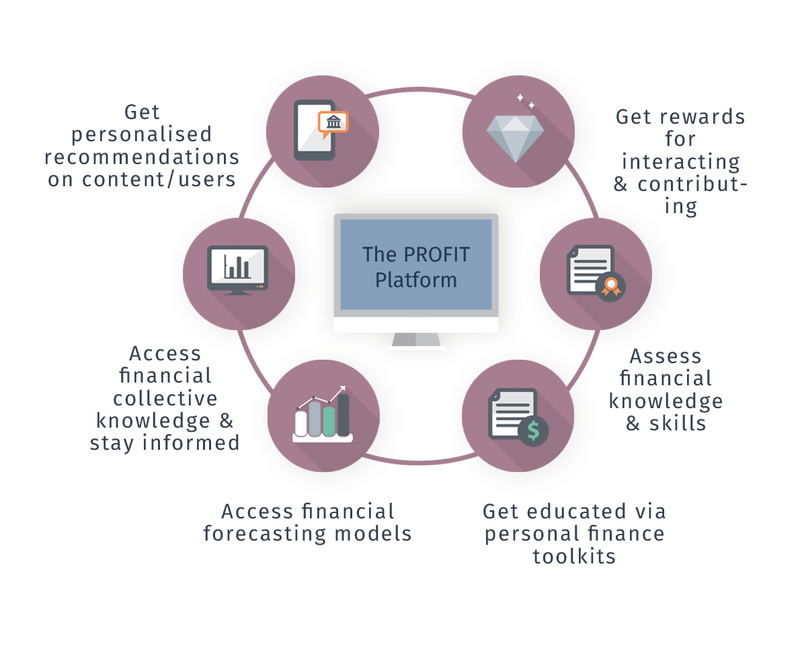 PROFIT aims at promoting the financial awareness and improve the financial capability of citizens and market participants. 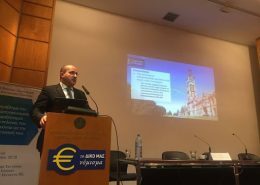 Recent global economic and financial developments have brought to the fore of the policy agenda the need for citizens to follow and understand financial trends and threats, national accounts and economic developments. The ultimate goal is the promotion of more responsible and prudent personal financial behaviour. From an open-democracy perspective, it can be conducive to more active forms of participation and citizenship. 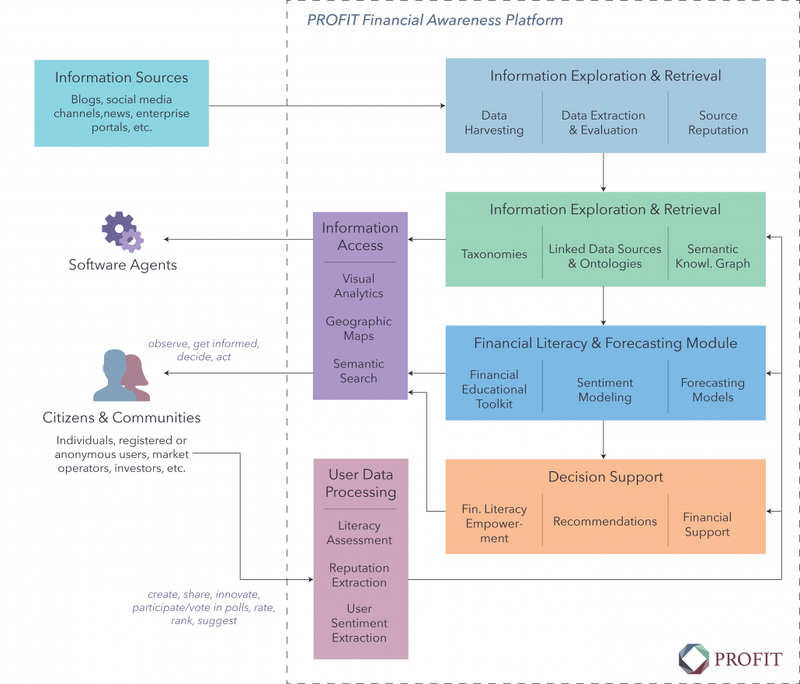 The conceptual model of PROFIT can be visualized as a user-centred financial awareness platform that obtains finance-related crowdsourced data from the web and its users, and creates new knowledge towards offering financial education and advanced forecasting tools that empower the users’ financial decisions. The aim of this work package is to study and specify the requirements of the targeted users with respect to the proposed financial awareness platform, analysing and turning them into specifications. Based on this analysis, it will define and deliver a number of representative use cases and user scenarios to exemplify the novelties of the PROFIT platform. 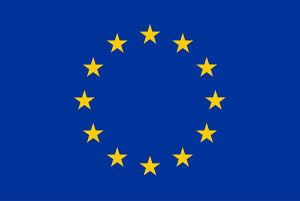 Finally, this work package will deal with the incentive mechanisms to encourage users’ participation as well as the definition of the personalised recommendation policies to provide decision support. The aim of this work package is to develop and establish a methodology for a data lifecycle, which is fully based on linked data principles and specifically adopted to the envisaged features being provided by the PROFIT platform. 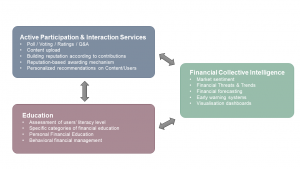 In its core, a constantly evolving semantic knowledge graph will be developed, which describes entities, relations, and business rules relevant to improve financial literacy, recommendation services and to enhance sentiment analysis. As a basic function of the semantic graph, information integration and aggregation of incoming sources will become more precise and can be managed in a more agile way. The main goal of this work package is to clarify and elucidate the conceptual nexus of the user’s financial literacy whilst formulating tools and assessment criteria for its measurement and targeted enhancement. WP3 will also develop performance, knowledge-based tests and self-assessment methods, which incorporate users’ feedback, to assess the levels of financial literacy. Based on the assessment criteria and feedback from WP1, it will generate the background material of the personal financial education toolkit, targeting personalised interventions for the enhancement of users’ financial literacy. 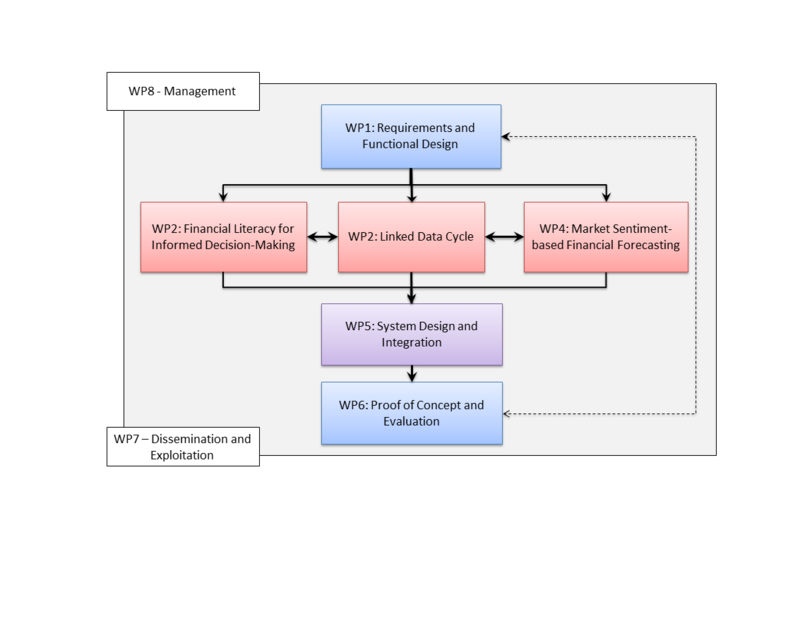 The major aim of WP4 is to develop novel econometric and machine learning models for effectively forecasting financial variables and macroeconomic indices. In order to leverage the predictive power of these models, this work package will also create advanced sentiment analysis tools by relying on novel crowdsourced data and machine learning algorithms. After the analysis of the platform requirements, the R&D components produced by the different WPs will be integrated here providing the system as a whole. Testing of both the components is planned as part of the integration activities. To ensure that the integration runs smoothly, all subsystems will first be integrated in their own laboratory test-environments before the final integration is made. In this process, all partners will provide support in their own field of expertise. The aim is to offer a fully functional platform with the focus on validating the capabilities of the PROFIT architecture. The main objective of this WP is to deploy the use cases and assist in the validation and assessment of the PROFIT platform. Based on the achievements from the integration of the individual modules and the requirements analysis, this WP will set a methodology for demonstrating and testing the system and produce an assessment framework, which will specify the appropriate performance indicators and analyse the social innovation impact to all user groups and stakeholders and validate the suitability of the system. 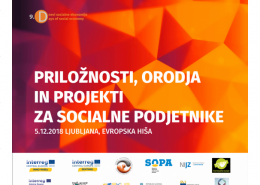 The main objective of this work package is to bring the PROFIT results closer to all parties from relevant scientific areas, business and market fields, social, and financial authorities that might be interested in the project results. Moreover, a detailed market assessment and analysis will be performed so as to identify technological trends, key players, market barriers and drivers. 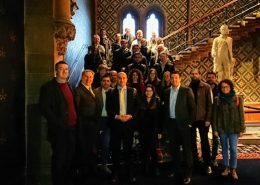 Finally, a major task is the effective dissemination of the outcomes of the research work along with an overall strategy for the exploitation of the results. This work package deals with the project management, namely the daily administrative management of the project so that project objectives and milestones are met in time. It will also oversee the technical aspects of the remaining work packages for the 36-month period. These two figures will coordinate the efforts of the partners to focus them onto clear objectives, and provide periodic reports of the work done. 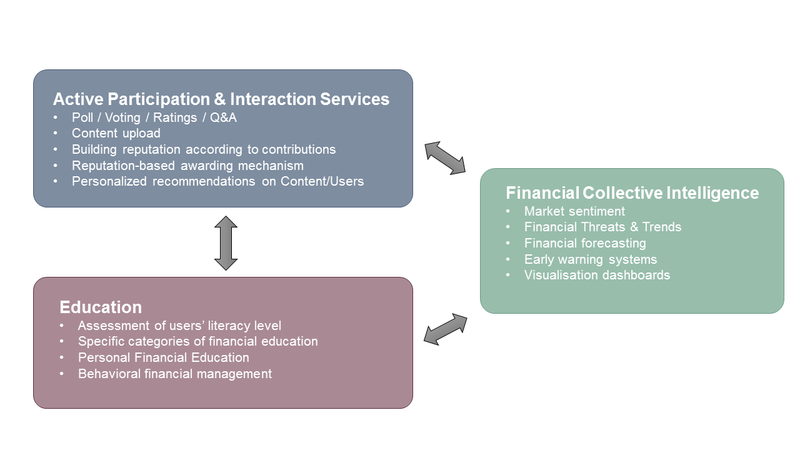 Identification of vulnerable population/customer groups, for which financial literacy training can improve real outcomes, in terms of financial inclusion, savings, indebtedness, retirement planning, etc. Establishment of novel training programmes and toolkits for specific population/customer groups of particular interest, i.e. children, elderly, females, and potential entrepreneurs. Financial risk assessment and action focused on above groups.